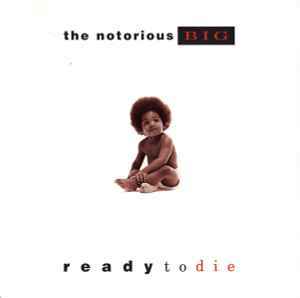 Ready to Die is the debut studio album by American rapper The Notorious B.I.G. ; it was released on September 13, 1994, by Bad Boy Records (5). The label's first release, the album features production by Bad Boy founder Sean "Puffy" Combs, Easy Mo Bee, Chucky Thompson, DJ Premier and Lord Finesse, among others. Recording for the album took place during 1993 to 1994 at The Hit Factory and D&D Studios in New York City. The partly autobiographical album tells the story of B.I.G. 's experiences as a young criminal. Ready to Die is his only studio album released during his lifetime, as he was murdered just days prior to the release of his second album, Life After Death (1997). On March 24, 2006, Bridgeport Music and Westbound Records won a federal lawsuit against Bad Boy Records for copyright infringement, with a jury deciding that Combs and Bad Boy had illegally used samples for the production of the songs "Ready to Die", "Machine Gun Funk", and "Gimme the Loot". The jury awarded $4.2 million in punitive and direct damages to the two plaintiffs, and federal judge Todd Campbell enacted an immediate sales ban on the album and tracks in question. On appeal, the Sixth Circuit found the damages unconstitutionally high and in violation of due process and remanded the case, at which point Campbell reduced them by $2.8 million; however, the verdict was upheld. All versions of the album released since the lawsuit are without the disputed samples. is this version like the vinyl me please 2017 release that has all original samples? There's 0 reason not to buy this. any of you has an idea if this is a legit pressing or not? It doesn't have a PA label on it but don't worry there's copious amounts of swearing on this thing. Fantastic pressing. Music is deep but present and immediate. Great mastering job. And a great job on the jacket and sleeves. Really a top version, you want this in your collection . The sound on this pressing is phenomenal. Hearing the album with this sound quality took me back to when I first heard the album. It is so textured and full of depth. Finally this classic and potentially best hip-hop album of all-time has gotten the sound treatment it deserves.